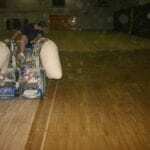 Stalker Sports Floors maintains an excellent reputation for being a quality floor sanding company. Our state of the art sanding equipment uses a tried and true method of sanding that involves four varied grits of hardwood quality sand paper, specially designed to work with Riding Machine Sanders. 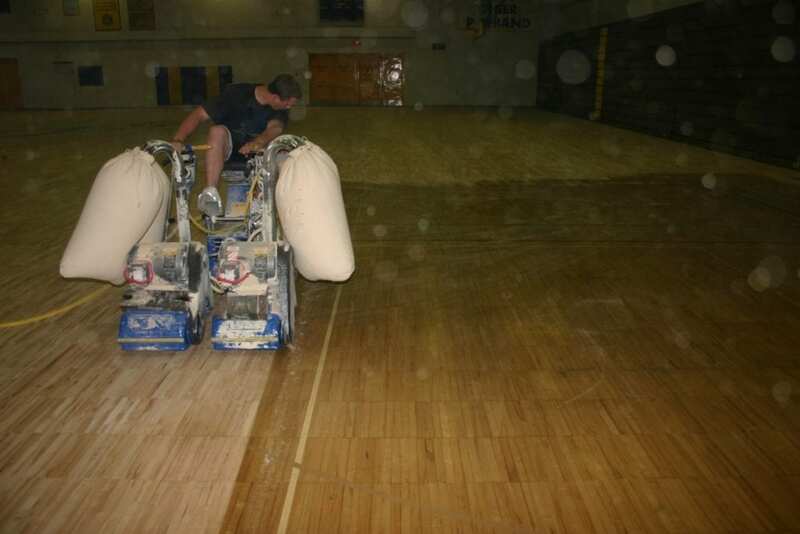 Hardwood Gymnasium Floors once installed must be machine sanded in place. The games lines and graphics are painted and Gymnasium Grade Gym Finish is applied to create the professional looking Gymnasium. Stalker Sports Floors recommend Refinishing a Hardwood Gymnasium Floor every 8-12 years, depending on the use and condition of the floor. Gymnasiums can be refinished at a fraction of the cost of replacing. The "like new" condition of a newly refinished floor is achieved by using the same machine sanders to remove the layers of finish and paint. This type of sanding will require that the game lines and graphics be repainted. Any design and game line changes and updates should be planned at this time.